Content marketing has undergone a huge shift in the last few years. In this article, we explain how chatbots can help you overhaul your content strategy. Do you remember back in 2012-2013 when marketers had to publish whole books on content marketing just to explain what it was? I remember buying a book with a bright red cover (this one) and the first chapter was just bringing proofs for the need of content marketing. Wow. Content marketing has undergone a huge shift in the last few years with all the emerging social media platforms. It’s been completely accepted into mainstream marketing and in fact became an umbrella term for a lot of different marketing channels. But just like social media is changing every year, content is too, and I’m here to tell you about a new way to completely overhaul your content strategy – chatbots! Chatbots have been around for a while now, but have recently started to take off again. Chatbots are a series of pre-written messages sometimes combined with artificial intelligence (AI). You can write a whole sequence of messages that go out to the user based on what they choose. Sprinkled with pictures, videos, selfies, and emojis, this makes for a unique conversation and user experience. You can have a chatbot on several platforms like Facebook messenger, Slack, Telegram, WhatsApp, really any messaging platform. I’m going to focus on Facebook Messenger in this article because it’s the most popular platform for chatbots. Chat messages are inherently more intimate and personal than email can ever be. Communicating with your customers and online audience through chat messages makes for better conversations. It’s as easy as that. Need some data to back that up? Check this out. According to the marketing genius of all time, Neil Patel, chatbots on Facebook Messenger get him an 88% open rate and a 56% click-through rate. That’s 5X the engagement of any email marketing campaign. Who Should Use a Chatbot? Any business that uses social media and wants to make more sales should use a chatbot on Facebook Messenger. Chatbots are also great for personal brands, influencers, and businesses that rely heavily on content. Great, I get it, but how do I really use these chatbots to improve my business? 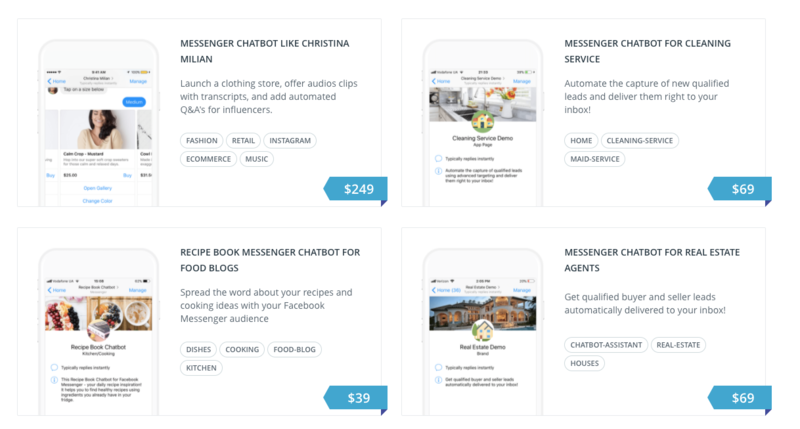 As previously mentioned, great marketers like Neil Patel are using chatbots as subscription lists to nurture and convert leads. A great example of this is Josh Fechter’s strategy. He writes content and offers his longer lead magnet through a chatbot subscription landing page. Once the user clicks on the button, they get sent a message on Facebook Messenger. At the same time, they are added to Josh’s subscriber list. 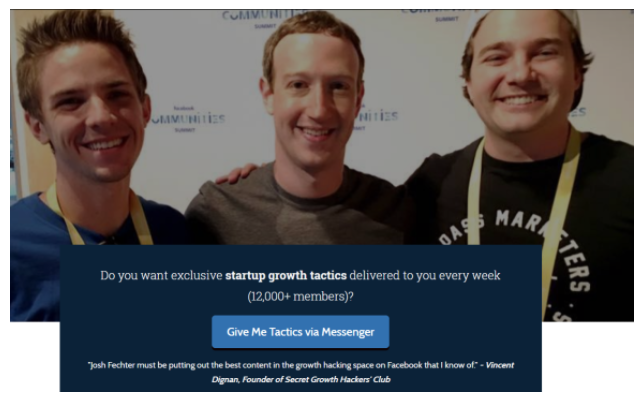 That means that he can send out his weekly content to a list of people on Facebook Messenger to get those 80%+ open and 50%+ click-through rates. Here is an example of a message. Notice how personal it is, and how much easier it is for me to engage with compared to an email. Everything is displayed, and I can easily click on the video and watch right there without having to go to another window. Use a chatbot platform like ManyChat to create this entire sequence. 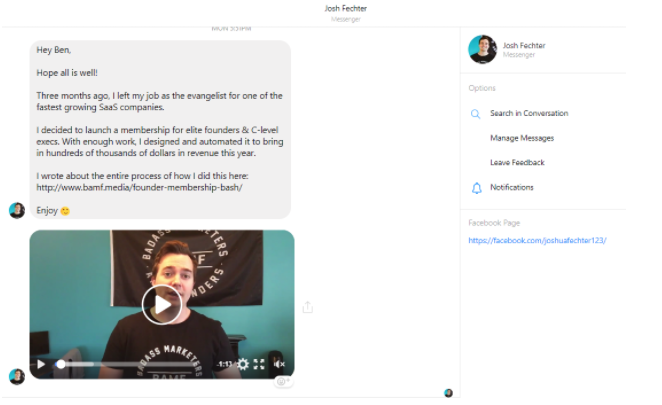 ManyChat has landing pages and email popups that you can use to build lead magnets, create Messenger subscription lists, and send out mass messages. I tried this a few weeks ago and it worked perfectly. I wrote a post on LinkedIn in which I offered a brilliant content strategy (I interviewed the Content Marketing Director of Capterra for this). Then, I sent everyone that commented a link to my ManyChat landing page. As a result, I got 27 subscribers from one post. Not too bad. 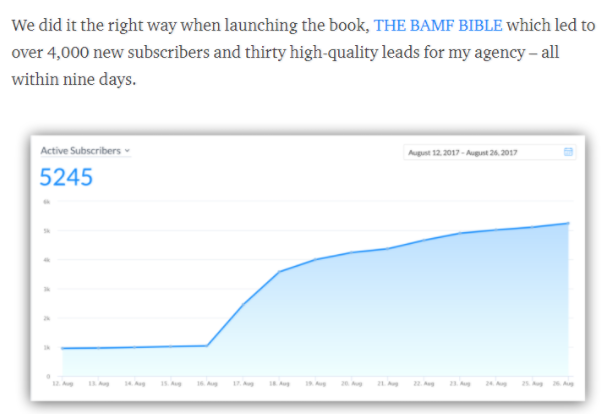 Josh Fechter used this strategy for content around his new book, which got him over 4,000 subscribers. So chatbots connect me to a wider audience, but what If I want to find customers in new places? I can do that too – let’s look at that. Another great use of chatbots is that they connect businesses to new audiences. 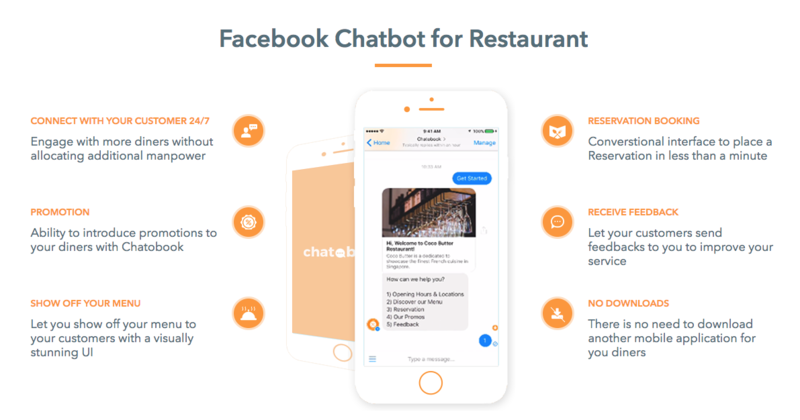 For example, the chatbot BellyHungry helps customers find great restaurants in their area and book a table – all using chat messages. 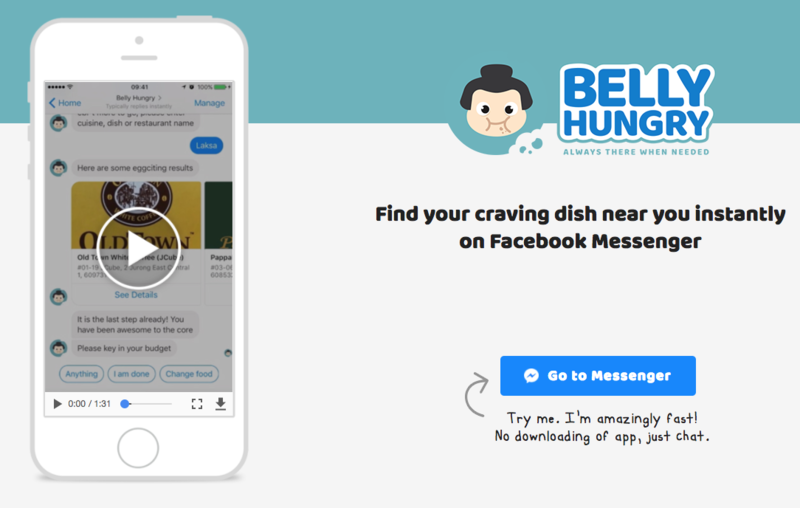 If a restaurant wanted to grow and get new clientele, they could partner up with BellyHungry to be listed in their system. The same idea is used for many different products and services such as movie theaters, flights, and trips. It’s the equivalent of launching a new marketing channel at no cost. Wait, but what do I do with all the emojis? Let me show you. Chatbots provide a new way to represent your brand. Let’s take an established brand like Disney for example. They use traditional marketing methods – billboards, tv ads, movie trailers – to create a buzz around an upcoming movie. But Disney is smart – they wanted to be in front of the right audience, one that is glued to their phones. 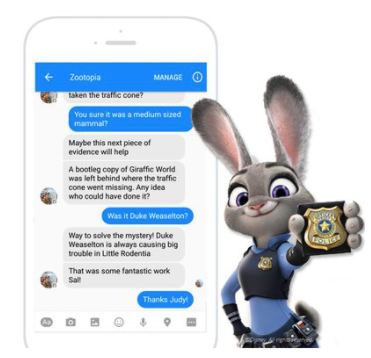 So they launched a chatbot on Facebook Messenger for their movie Zootopia. The chatbot had a mystery game that the user could play to solve a crime. It was super creative and entertaining. Those are only some of the uses of chatbots, and there are lots more. But where would you go to build these things for your business? If you want to build a really simple chatbot I would use ManyChat or ChatFuel to get the job done. They both have free options so you don’t have to pay anything upfront. If you wanted something more advanced you could use a chatbot template. If you own a restaurant, you can use a company like ChatoBook that builds great templates for restaurants. Another great place to get some templates is from BotMakers. They have a ton of different templates for every kind of business. Chatbots are here to stay. They provide powerful ways to build subscription lists, engage with customers, outreach to new audiences and build brand awareness. They are also simple to build and affordable. Curious about what kind of chatbots are out there? Check out BotList for a comprehensive list. Have you tried building a chatbot? Do you use one already? Let us know how it’s working out in the comments! Published on 12/04/2017 by Ben Kazinik.